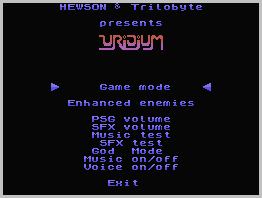 ColecoVision.dk presents: Uridium © 2017 by: Trilobyte. 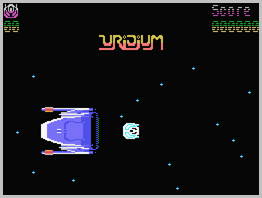 Enemy Super-Dreadnoughts are in orbit around each of fifteen planets in this galactic sector. They are draining the mineral resources from the planetary cores for use in their interstellar power units. If nothing is done, a new age of alien tyranny will begin! 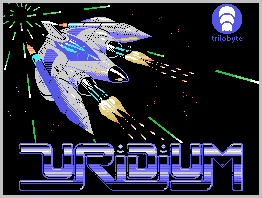 At the helm of your Manta fighter, you must destroy the enemy fighter patrols, neutralize the Dreadnought surface defences, then land and destroy each ship. 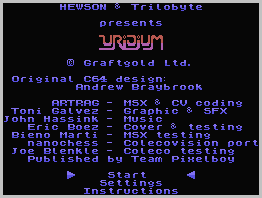 ColecoVision.dk Game # 16X, Uridium is last updated: December 26, 2017.